Preheat oven to 180°C. Place the rosemary, garlic, oil, dukkah, salt and pepper in a small bowl and mix to combine. 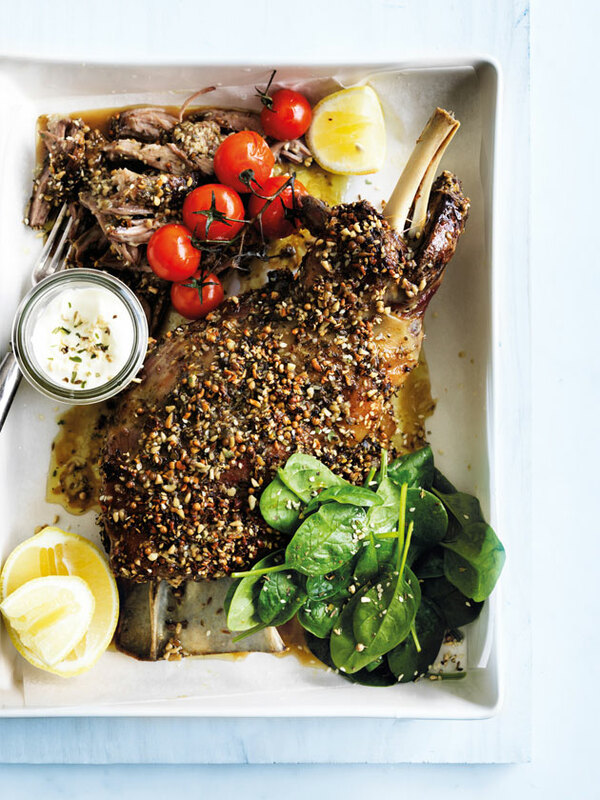 Place the lamb in a deep-sided oven tray and rub with the dukkah mixture. Add the water, cover with aluminium foil and roast for 1 hour 30 minutes. Remove the foil and roast for a further 40 minutes.